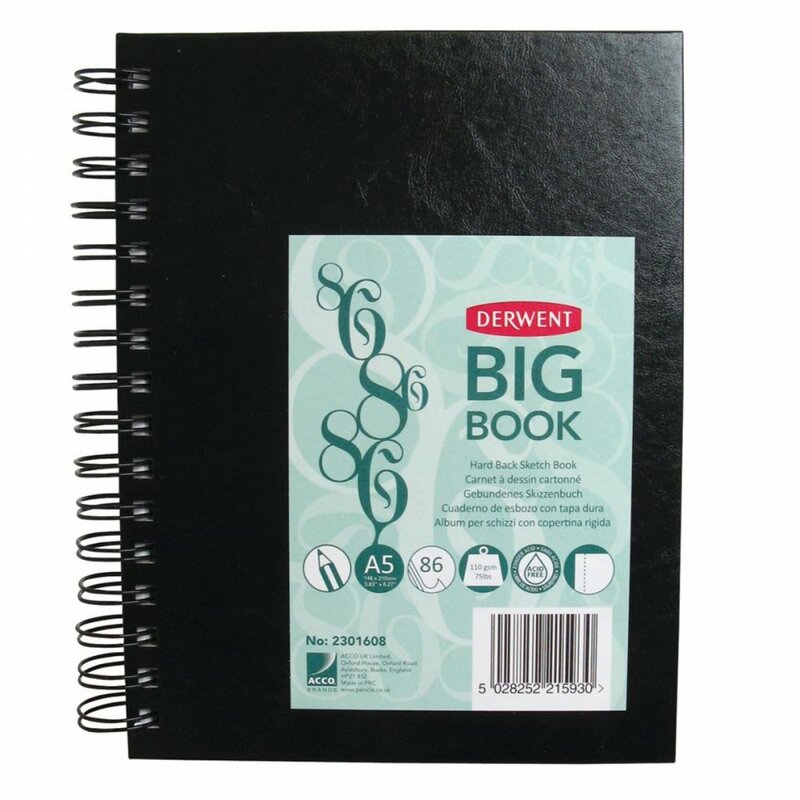 This sturdy A5 hardback sketchbook with wire bound spine is the perfect book for sketching at home or taking out and about with you. Contains 86 sheets of 110gms, acid free paper. I bought this sketchbook to go into a Derwent Carry-All Canvas Bag that I purchased earlier. It fits beautifully into the slot inside the bag. The paper is of lovely quality which should take both coloured pencil and light water colour wash. The leaves are neatly perforated to tear off to A5 size.